Mix cream cheese, spinach, 1 cup mozzarella and Parmesan until well blended; spread onto noodles. Roll up tightly. Place seam-sides down, in 9-inch sq. baking dish; top with sauce and remaining cheeses. My family loves pasta with red sauce but I prefer it with Alfredo sauce. Thanks for sharing the recipe! I will definitely try this next weekend. Pasta only with red sauce?? What a flat world that would be! These look delicious! Yum....I love the ingredients in this! Looks delish! 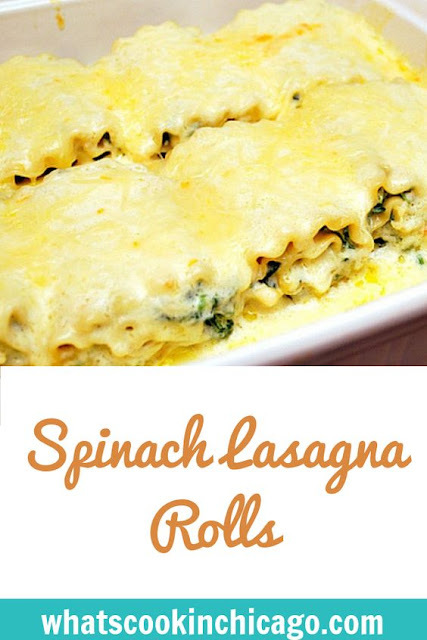 could this be a freezer friendly dish? If so, how would you suggest preparing the noodles? Hi Sarah! These could definitely be a freezer friendly dish. 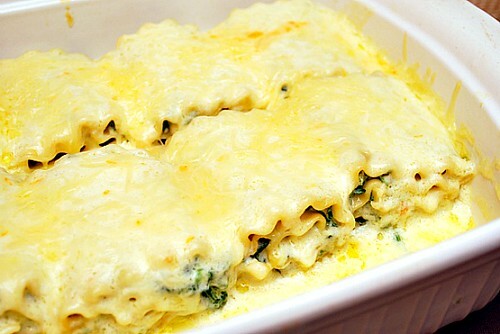 To prepare ahead & freeze, prepare the recipe as directed with cooked & drained lasagna noodles. Instead of placing in a baking dish, you can place them in a disposable baking dish or a Glad Ovenware dish (my personal fave) because they are freezer and oven safe. Once in the baking dish, cover with plastic wrap and then with foil, then freeze. When you're ready to cook in the oven, defrost the baking dish until partially thawed, top with alfredo sauce and shredded cheese then bake for 30-45 minutes or until heated through. Hope this helps!